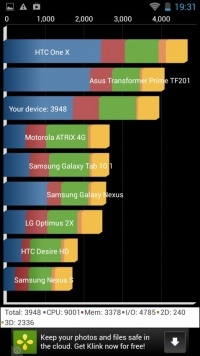 An average Android with a great display. 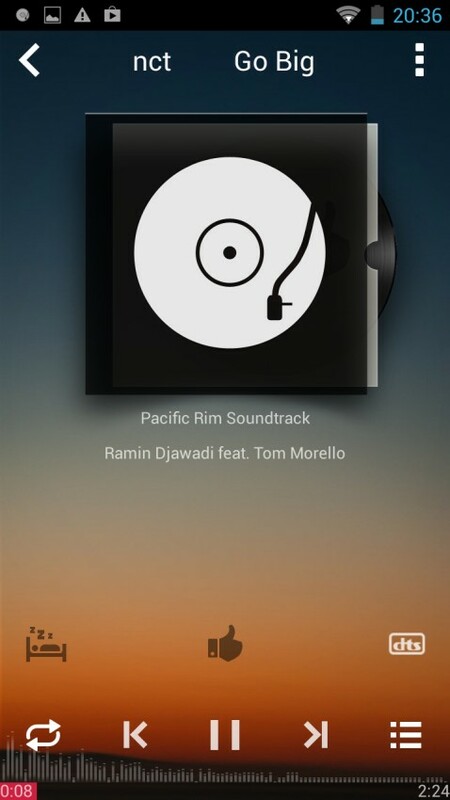 Impressive IPS screen; 16 GB internal storage, Compact and slim design; Good music quality. 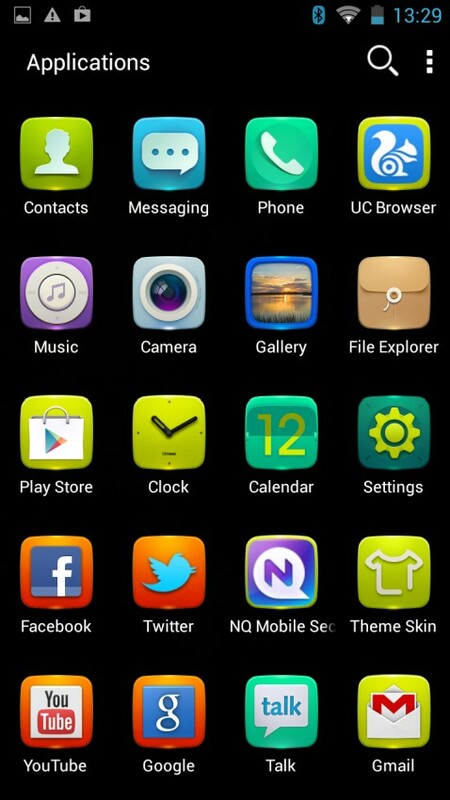 Gionee's software implementation is garish; A slight lag is present throughout the UI; Chassis lacks build precision. Considering the success of Indian brands that sell Chinese rebrands in India, many Sino OEMs have now started to directly enter our market. For instance Huawei and ZTE are well known in the Indian market. And now we have new a kid on the block, Gionee (which apparently sounds like a Sindhi brand). Their recently reviewed Elife E6 was promising. Is their new budget handset E3 just as good? 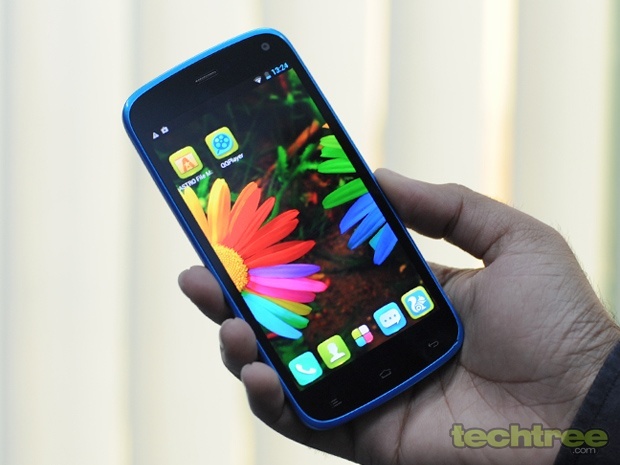 Unlike most budget Android phones, the Elife E3 comes in colours. You get to choose from Pink and Blue, apart from the usual White and Black. 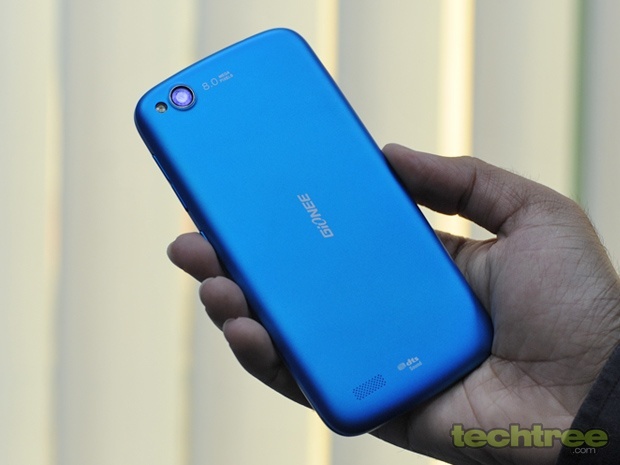 While I appreciate Gionee for offering colour options, I didn't like the shades they've gone with. Although it's made of plastic, the phone has a slight rubberised feel to it which helps with the grip. The phone is quite compact, so the single-handed usage is possible. Another thing worth mentioning is that the phone is quite thin at 8 mm. The phone has few rough corners, and the seams are uneven at some places. So the precision built is not there yet. The phone sports a 4.7" HD IPS screen. With 1280×720 pixels, the display is one of the sharpest screens at this price point. The colour reproduction is impressive. I also found the brightness levels and viewing angles to be great. 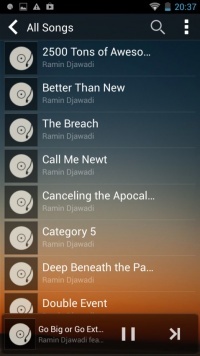 In all, the display is one of the high-points of this phone. 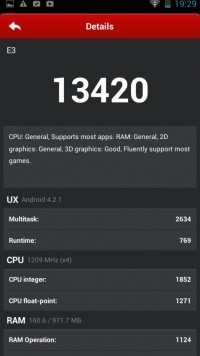 The Elife E3 is powered by a 1.2 GHz quad-core Mediatek MT6589, and PowerVR Series5XT GPU. Then there's an 8 megapixel rear camera, 2 MP front-facing snapper, 1 GB RAM, 16 GB of internal storage, microSD card slot, and 1800 mAH battery. It's equipped with Wi-Fi, Bluetooth 4.0, and 3G connectivity. All the connectivity features work well. More importantly, the call quality is good. One unique thing about this dual-SIM phone is that it features one micro-SIM and one mini SIM slot. 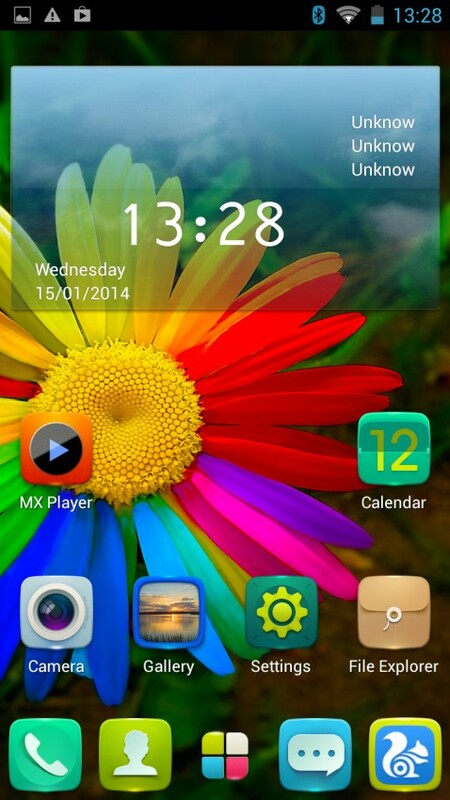 The phone comes with Android 4.2 (Jelly Bean) and for further updates Gionee has OTA in place. If I have to describe the interface in one word, that would be ‘garish’. 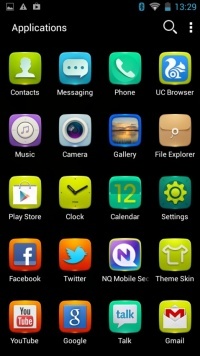 Guys at Gionee have used every colour in this world for icons and other in UI elements. 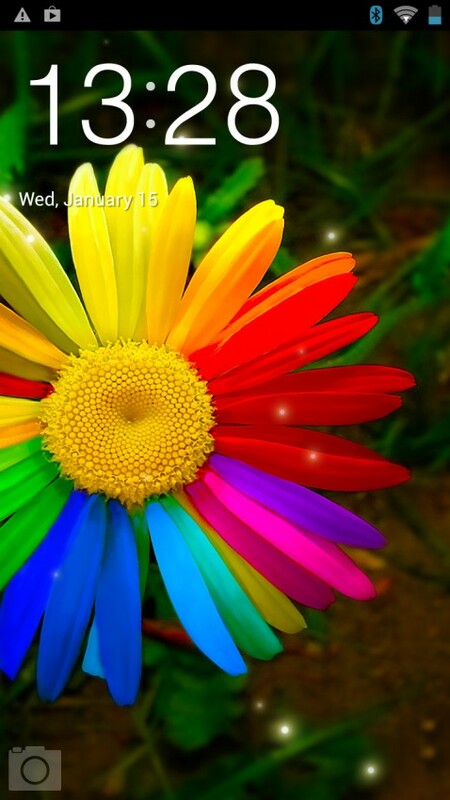 It’s so colourful and gaudy that it can make Samsung’s TouchWiz look sober in comparison. The lock screen features a camera shortcut, which is a good thing. The phone comes loaded with a few useful apps such as Kingsoft Office Suite, WhatsApp, WeChat, and UC Browser. However, the phone doesn’t feel smooth during the usage. The transition effects are jittery, and there’s a noticeable delay in opening video files too. Coming to the subject of gaming, titles such as Temple Run 2 and Angry Birds: Star Wars covered, Dead Trigger are covered. 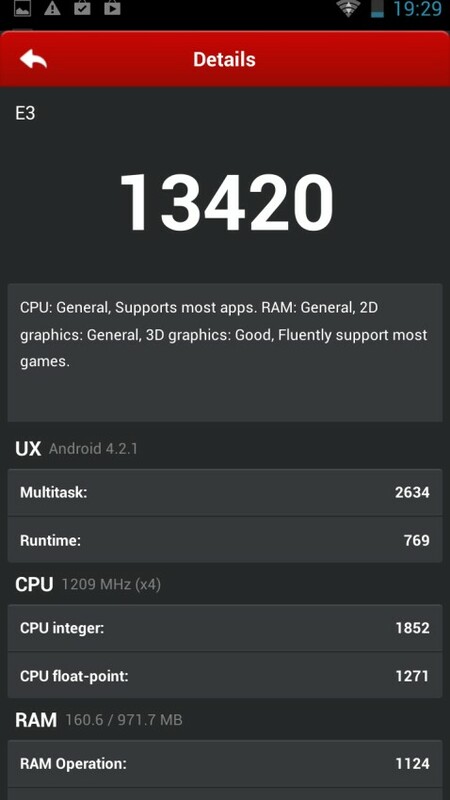 The phone clocks in 13,420 in AnTuTu. Its Quadrant score is 3948. These numbers are standard for MT6589 chipset. 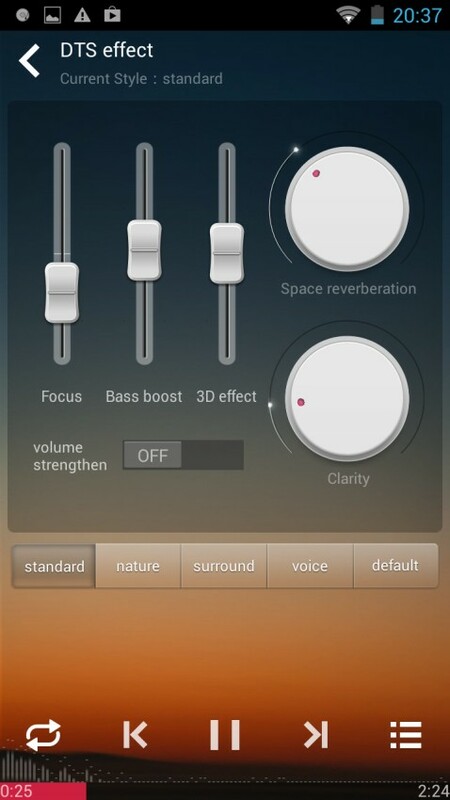 The phone’s music sound quality is good. 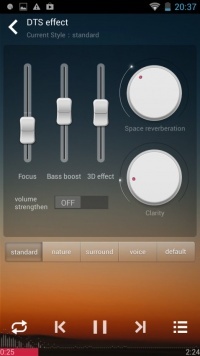 There are plenty of audio settings to play around with including virtual DTS effect. Gionee has also given decent quality earphones. 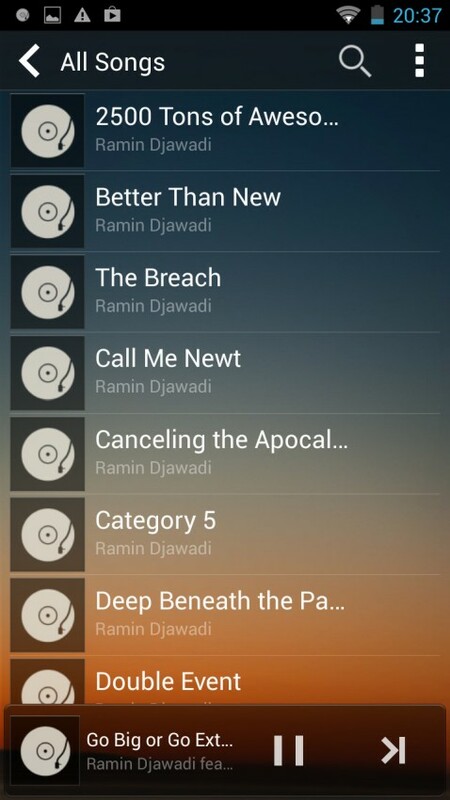 Speaking of video playback, the phone can handle most 1080p files. However, for MKV files, you’ll have to grab MX Player. The onboard 8 megapixel camera offers multiple options to take a snap. For instance, you can click a picture using Gesture shot, Touch Shot, and Smile Shot mode. There are manual controls for EV and white balance. Then, there are a bunch of useless Instagram-like filters and crappy photo-frame effects. Compared to most Android phones in this price bracket, the camera does a good job in well-lit conditions. Low-light pictures are a strict no-go. The phone can record 720p videos at 30 fps. The quality is decent, but the dated 3GP encoder is a downer. Seriously, who uses 3GP in 2014? The phone comes with 1800 mAh battery. With normal usage, the phone hardly lasted for a day. So if you end up buying this phone, you’ll have to grab a charger before signing off for the day. Available for Rs 14,300, the Gionee Elife E3 flaunts an impressive screen. It's compact and thin. The sound quality and camera are good. Conversely, the interface is sluggish and I bet many will find it too gaudy for their liking (except a certain blingy gaudy-liking crowd). 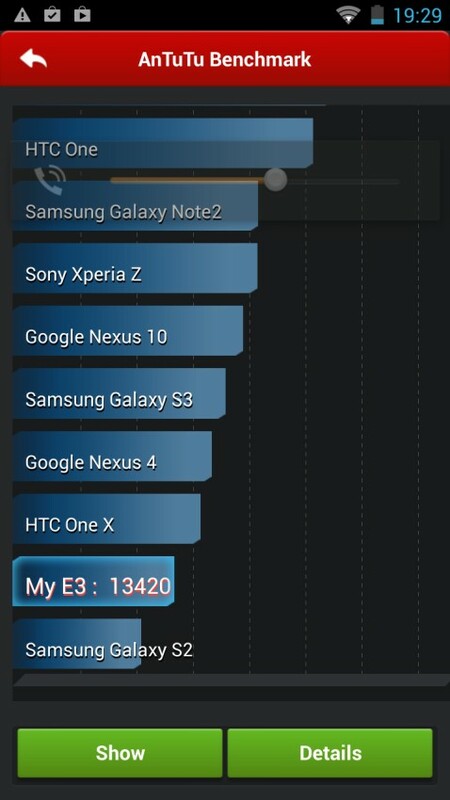 So if a great display is your priority, go for the Elife E3. On the contrary, those hunting for all-round smartphone should consider the Nokia Lumia 720. 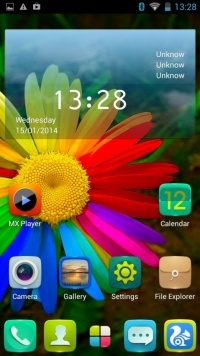 1.2 GHz quad-core Mediatek MT6589. 1 GB RAM, 16 GB storage, microSD card slot. 8 megapixel camera, 2 MP front-facing snapper.